More than eight years in use, over 4.2 million scans and a very satisfied customer. Using two WideTEK® 36DS-300 large format duplex scanners, sold in 2010 by Image Access to Nielsen Media Research GmbH in Germany, they were able to digitize millions of newspaper pages. For more than 50 years, the Hamburg-based company has calculated gross advertising expenditures in above-the-line media in Germany as well as for the media categories Direct Mail, At-Retail-Media and Transport Media. In addition, Nielsen captures the advertising creations in the various media and observes blogs and Internet forums. Consumer goods manufacturers, retailers and service providers, companies in the media and entertainment industry, advertising agencies, media agencies and the Internet community rely on their knowhow and many years of experience. Nielsen Media Research GmbH is part of the international Nielsen Company network, based in New York. In addition to Hamburg, the WideTEK® 36DS is also located at Nielsen’s Ireland location. Also, the Nielsen Company in New York has had good experiences with this unique duplex scanner. The defining special feature of the WideTEK ®36DS is the double-sided digitizing of documents in a single pass through the scanner, which is available worldwide only from Image Access. 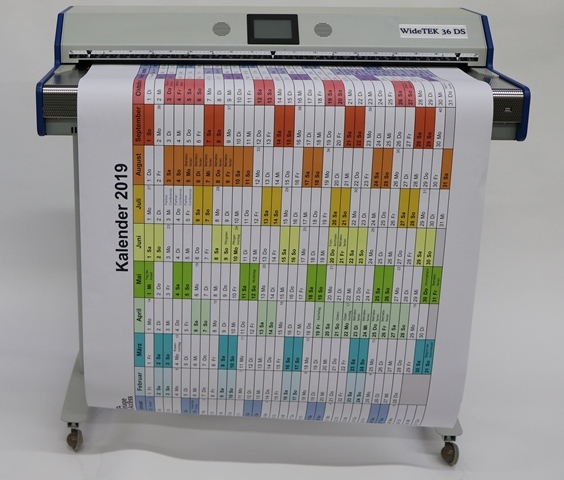 In particular, press and clipping services benefit from being able to scan large numbers of double-sided documents up to 36 inches (915mm) wide. 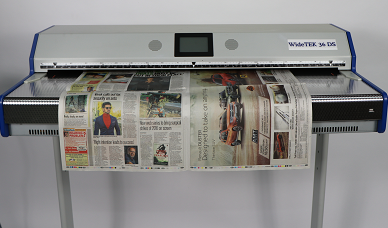 At a resolution of 300 dpi, the scanning time for the front and back of a newspaper sheet is only 2.5 seconds. Tedious turning over of the pages is eliminated, which saves time and ensures easy handling and higher throughput. Holger Weeke, Sales Director Germany of Image Access, recalls that Nielsen needed two large-format scanners in 2010 for the evaluation of print media, with which mainly newspapers could be scanned. Nielsen has now purchased new WideTEK® 36DS devices from Image Access. The current generation delivers even better images with the improved camera technology and faster scanning speeds. The WideTEK 36DS scanner is off.